Consider Hector’s dolphin, a species that lives in the coastal waters off New Zealand, and that, these days, often gets tangled up in fishing nets. The dolphins are rare: there are thought to be fewer than 4000 individuals at large. They also have rather low genetic diversity — a factor that, combined with small populations, is thought to be a risk factor for extinction. But perhaps there isn’t really a problem: perhaps their genetic diversity has always been low? It hasn’t. Specimens of the dolphin have been collected since the 1870s. A comparison of DNA from the museum material with that from dolphins out and about today shows that genetic diversity has eroded substantially over the past 130 odd years. If we’re not careful, Hector’s dolphin may not be with us much longer. 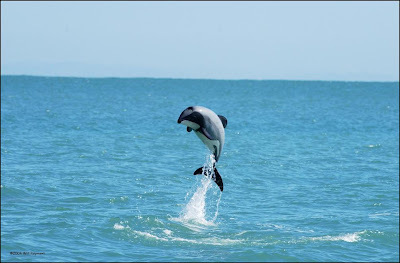 In 2007, WWF New Zealand said that just over 7,000 Hector's Dolphins lived in South Island Waters. In 1970 there were more than 26,000. Of Maui's Dolphin, a subspecies found on the west coast of North Island and nowhere else, there were about 110.